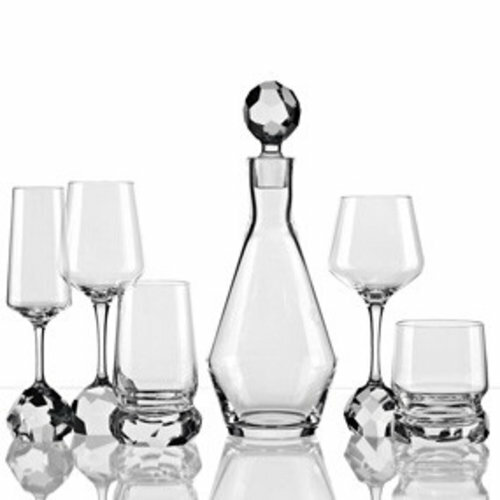 The Jiri Pelcl collection of drinking glassware in a traditional silhouette, but convention stops there. 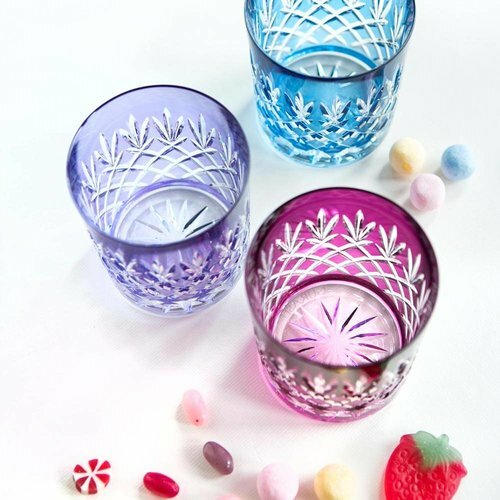 The base of the glass enjoys an all-together different aesthetic, resembling a rock with irregular facets that provides a multi-textural experience. 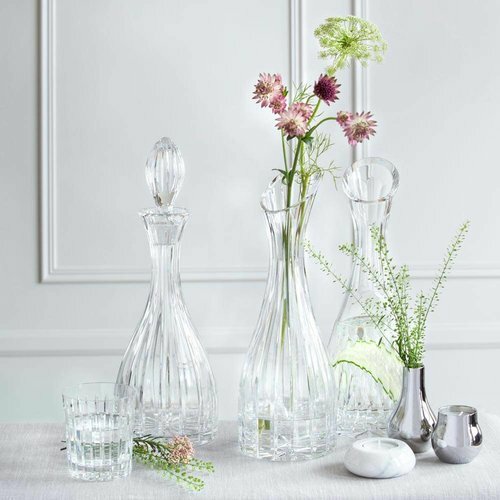 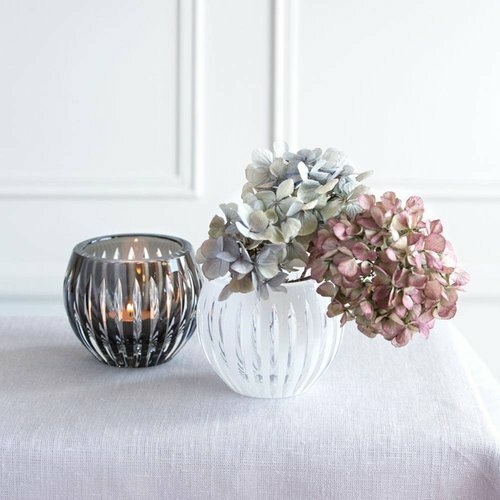 Having emphasized the contrast between the smooth conical shapes of the body of the glass and massive irregularly cut stems and bases, the author managed to create an extraordinary composition. 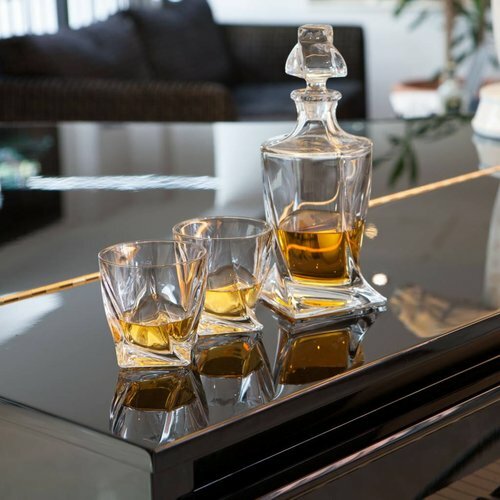 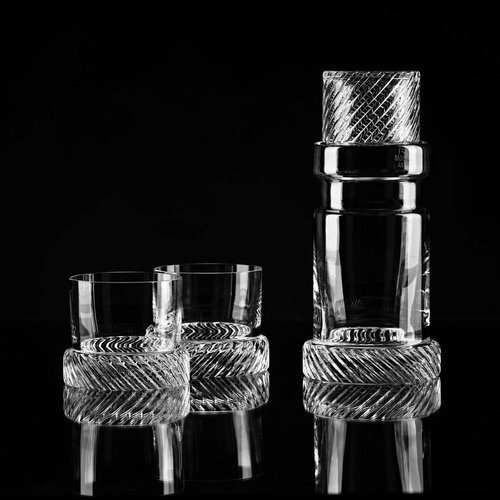 This architectural approach, which is quite original in the luxury glassware industry, gives products a unique look, emphasizes its masterful craftsmanship and forces the users to hold the glass by the cut parts rather than by the body of the cup itself.